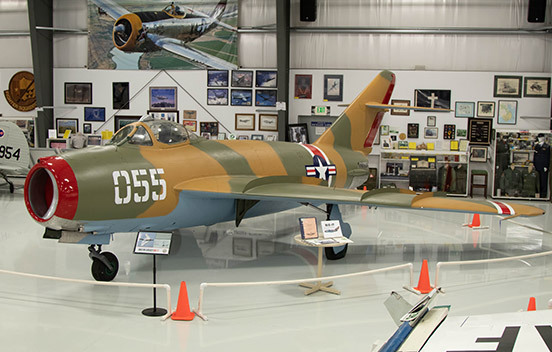 Made famous by the Vietnam War, the MiG-17F was the primary enemy aircraft engaged in the skies over Vietnam by U.S. aircraft, such as the A-4,A-7, F-8, B-52, F-100, F-105 and its primary nemesis, the F-4 Phantom II. During that war and up until the F-16 entered service, it was the tightest-turning fighter in the world. When production started in the 1950s, its VK-1F engine made it one of the first production jet fighters in the world with an afterburner. 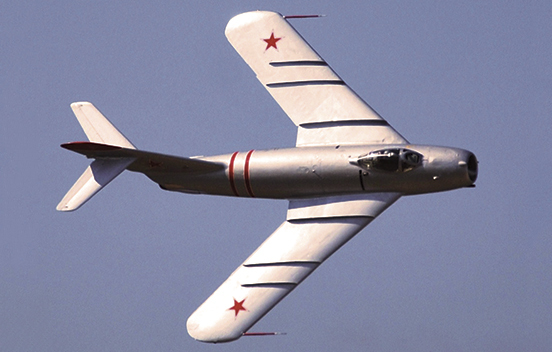 The MiG-17F can maintain 8g turns (8g = 8 times the force of gravity on the pilot’s body), attain a maximum speed of 715 mph (Mach 1.04), and can climb to 30,000 feet in only 3 minutes, with an initial rate of climb better than 14,000 feet per minute. 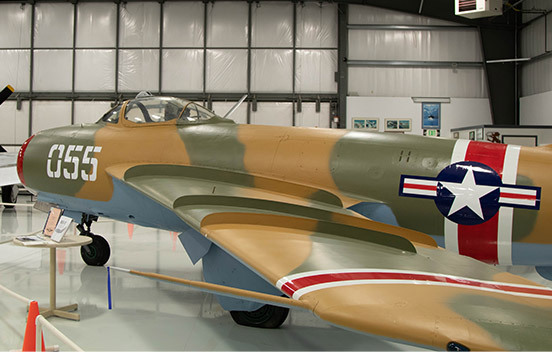 The MiG-17F was a very nimble fighter that could prove deadly unless respected when engaged by pilots with superior training and tactics such as those used by the U.S. Navy and Air Force. 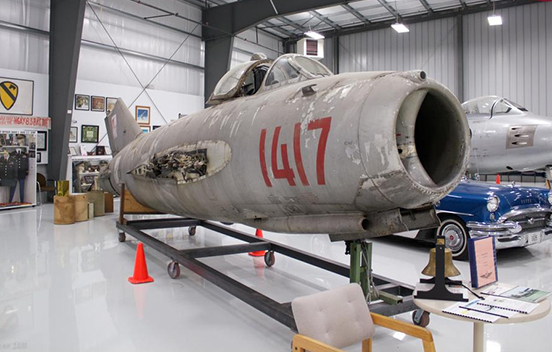 One moment’s complacency when fighting against the MiG-17F could prove fatal. It was flown by over 20 countries, three of which still fly it. Because of its famous heritage and great maneuverability, it makes one of the best air show jets in the world, able to stay in front of the fans while still flying at great speeds.